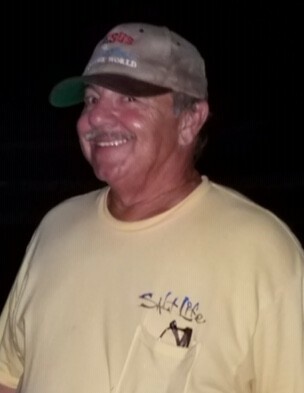 Four Oaks: Mr. Brent Rudolph Reaves, age 63, of 1703 E Parkertown Rd., died Wednesday, April 10, 2019 at SECU Hospice House in Smithfield, NC. Funeral services will be held 3:00 PM, Sunday, April 14, 2019 at Oliver's Grove Baptist Church in Four Oaks. Officiating will be Rev. Steve Morris. Burial will follow in Len Parker -Dunn Cemetery. Mr. Reaves was born on June 14, 1955 in Wake County. He was preceded in death by his father, Clarence R. Reaves and his mother and step-father, Betty Byrd and John Corbett Elmore. Mr. Reaves was a retired drywall worker and attended Oliver's Grove Baptist Church. Survivors include his wife of 20 years, Dana Adams -Reaves of Four Oaks; daughter, Bobbi Korner and husband, Jerry of Hrabisin, Czech Republic; 3 grandchildren; sister, Libby Hudson and husband, Ray of Four Oaks; many nieces and nephews; and several special pets. The family will receive friends from 1:30 PM to 2:45 PM Sunday, April 14, 2019 at Oliver's Grove Baptist Church in Four Oaks and other times at the home.